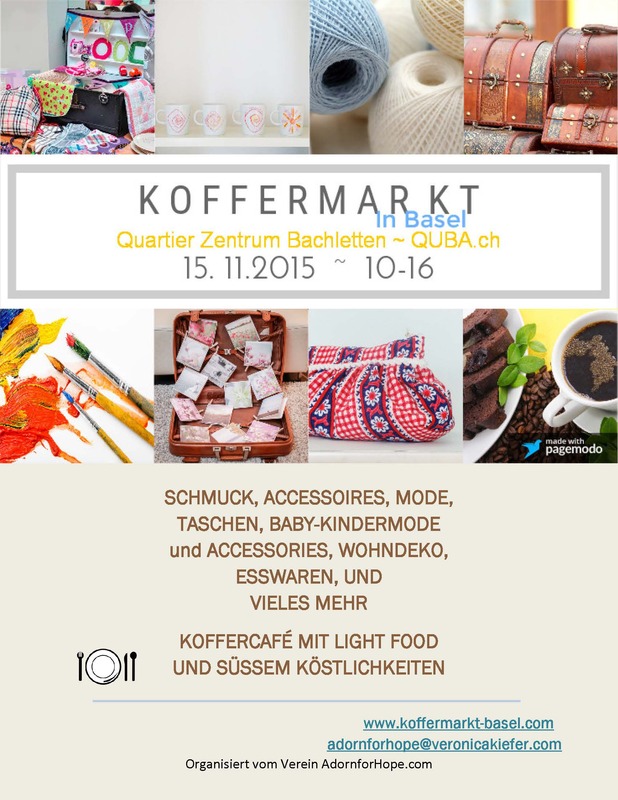 Upcoming Market November 15, 2015 – Willkommen beim Koffermarkt in Basel! Willkommen beim Koffermarkt in Basel! The Winter Koffermarkt is slowly creeping upon us to start the Advent and Christmas season 2015. Pass the flyer around electronically, join our Facebook page and call some friends to join you on November 15th in the QUBA center in Basel (www.QUBA.ch)!